AAHomecare members are part of a nationwide community of providers focused on improving life for their customers and patients. As a way to enhance your membership experience, we offer four corporate partner program levels that offer exclusive benefits to help you interact with industry leaders. Using our comprehensive package, you receive expanded marketing opportunities and give your business the ability to network with the top brands in homecare. Medtrade & Medtrade Spring are the premier tradeshows for the HME sector, providing attendees with unequaled educational & networking opportunities, and showcasing products & services from hundreds of exhibitors. Drive Medical Design and Manufacturing is one of the fastest growing global manufacturers of durable medical equipment. Its mission is to manufacture and market world class products which focus on innovation, functionality and value to improve the quality of life and to promote independence for the individuals that use our products. Lincare's mission is to set the standard for excellence, transforming the way respiratory care is delivered in the home. We are inspired by a vision to enable patients with chronic conditions to remain engaged in life, with the peace of mind that we are caring for them. 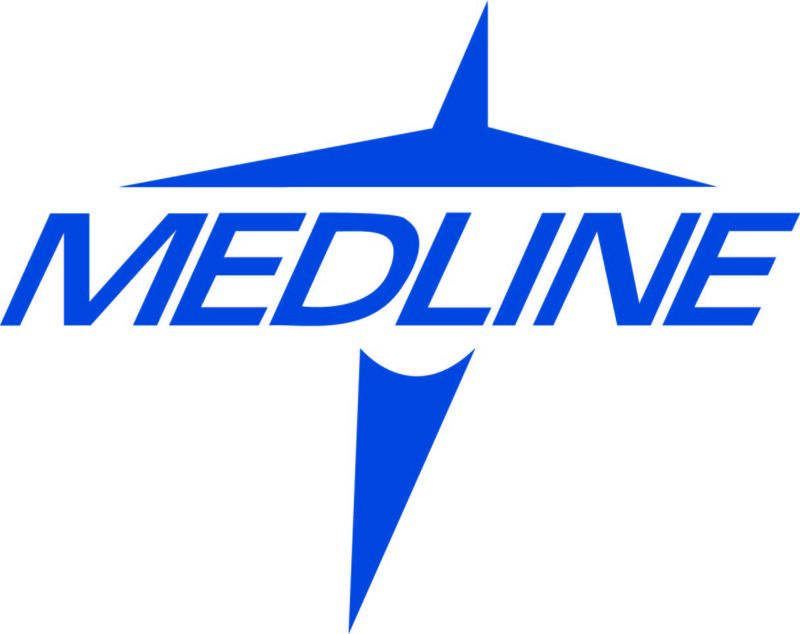 Medline a family owned and operated, privately held manufacturer and distributor of medical supplies uniquely positioned to help our customers lower their spend, improve their outcomes and increase their revenues. We do this through the wide range of products we manufacture along with education and innovative programs across the continuum of care, from hospitals, to nursing homes, to home health to physician practices to the HME market. Our team is made up of clinicians, researchers, engineers, financial experts and 1,200 direct sales representatives dedicated to helping our partners achieve their goals. ResMed changes lives by developing, manufacturing and distributing medical equipment for treating, diagnosing, and managing sleep-disordered breathing and other respiratory disorders. Through our trained professionals and clinicians, Apria Healthcare offers a wide range of therapy programs, clinical services, and home medical equipment. As the largest provider of cloud-based solutions for home health, hospice, HME and pharmacy providers, Brightree's track record of building innovative technology that creatively solves business problems speaks for itself. Inogen’s compact, lightweight portable oxygen concentrators are designed to free patients from heavy tanks, managing tank refills or being tethered to stationary systems. 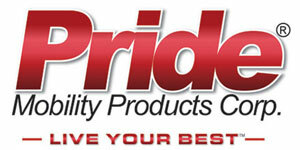 Pride Mobility Products Corporation is the world's leader in the design, development and manufacture of mobility products—power wheelchairs, scooters, lift chairs and vehicle lifts. 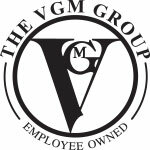 VGM Group, Inc. is committed to developing products and services to help independent HME providers improve efficiencies, save time and money, increase their visibility and gain a competitive advantage. Byram Healthcare provides quality supplies, services and support, specializing in Diabetes, Ostomy, Wound Care, Urology, Incontinence and Enteral Nutrition. Sunovion Pharmaceuticals, Inc. specializes in treatments for central nervous system and respiratory disorders. Advanced Home Care strives to provide extraordinary care to our patients, communities, and each other every day. By becoming a bronze level sponsor, Advanced Home Care is furthering our reach and the reach of AAHomecare. Our industry has entered a period where collaboration is key to create a better future for patients and partners alike. Advanced Home Care is a not-for-profit home health care agency that provides respiratory therapy, nutrition services, infusion therapy, skilled nursing, and medical equipment to patients in their homes. In addition to the great care we provide to our patients, we provide nearly $26 million in community benefit to the communities we serve. One of the largest home care providers in the country, Advanced Home Care has 34 branches located throughout Georgia, North Carolina, South Carolina, Tennessee, and Virginia and is a joint venture of 13 health systems throughout these areas. Advanced Home Care’s corporate office is in High Point, North Carolina. Attends product line is manufactured in the Personal Care division of Domtar, a global company with the manufacturing flexibility and the domain expertise to innovate at a world-class level. We develop products from start to finish, with hundreds of people involved in the process of turning consumer needs into unique personal care solutions. We conduct scientific research, find the best materials on the market, design proprietary features and run laboratory testing and clinical trials, all with the goal of giving consumers reliable protection to live life with confidence. Attends offers diverse products to fit the lifestyles and needs of a wide range of individuals – all ages, activity levels and stages of incontinence. Committed to improving lives, Compass Health® manufactures and distributes a broad range of innovative and high-quality homecare, rehabilitation, and pain management products designed to enable consumers to be remain active, live independently, and enjoy life. The company markets its products to both professional and consumer sectors. Consumer brands include Carex®, AccuRelief™, Apex®, TheraLite™, Bed Buddy®, STRENGTHTAPE® and TheraMed® and are sold through drugstore chains, drug wholesalers, mass merchants, and grocery retailers. Professional brands include ProBasics™, Roscoe Medical®, Meridian Medical®, InTENSity®, and Richmar® and are sold through a professional independent dealer/distributor network. Learn more at www.compasshealthbrands.com. We are a leading global hygiene and health company, dedicated to improving well-being through leading hygiene and health solutions. Our 48,000 employees develop, produce and sell products and solutions in Personal Care, Consumer Tissue and Professional Hygiene. Around 500 million people use our products every day. Our brands include TENA, Tork, Leukoplast, Libero, Libresse, Lotus, Nosotras, Saba, Tempo, Vinda and Zewa, and we work all over the world in around 150 countries. At Fisher & Paykel Healthcare, we fully understand the life-changing impact that can result from delivering inspired and world-leading healthcare solutions. After all, we changed the way the world delivers respiratory humidification to critically ill patients in hospital, and were the first organisation in the world to make a humidifier specifically for use in the treatment of patients with obstructive sleep apnea. Today, through an unrivalled commitment to innovation; to doing the right thing; and doing what is best for the patient, we continue to inspire world-leading healthcare solutions. Our team of self-motivated, empathetic and committed individuals is our strength. It is this team; our originality; the value we place on relationships; our international perspective; and the utmost care for all patients, customers, suppliers, shareholders, as well as the environment, that will ultimately ensure we will be the healthcare company of choice. 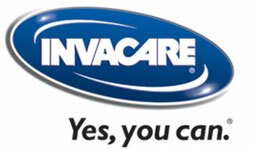 Invacare is the world's leading manufacturer and distributor of healthcare products that promote recovery and active lifestyles. KCI is a 100-percent employee-owned engineering, consulting and construction firm serving clients throughout the United States. Our multi-disciplined service offerings allow us to provide exceptional turnkey expertise to federal, state and local government agencies, as well as institutional and private-sector clients. KCI’s stock value increase of more than 200 percent since 1994 is a tribute to the hard work and technical expertise of more than 1,300 dedicated employee owners. We’re experiencing an era of unprecedented change in health care. New technology, new services and new ideas will be needed to deliver improved outcomes for businesses and patients. McKesson is at the forefront of that transformation. We work with health care organizations of all types to strengthen the health of their business, helping them control costs, develop efficiencies and improve quality. We build essential connections that make health care smarter, creating intelligent networks that expand access, reduce waste, and bring people and information closer together. We supply the industry with the resources, support and technology it needs to create new standards and a world of better health. Med-South, Inc. & Affiliates provides quality care to its patients through a variety of healthcare service offerings that include home/durable medical equipment (DME/HME), diagnostic imaging via positron emission tomography (PET), sleep disorder testing via polysomnographic services, wound care treatment, and management of various chronic disease states. A strategic vision, aligned with valued partnerships throughout the state of Alabama, positions Med-South as a state-wide industry leader with unique strategy and unparalleled vision. Med-South, Inc. is joint ventured and/or affiliated with 20+ of the Alabama’s largest and most reputable healthcare organizations, and it operates 24 physical branch locations across the state to provide DME/HME and diagnostic services (PET scans, sleep testing) to its patient base. Med-South actively engages in payor relations and maintains strong relationships with its supplier/service partners. At NSM, we build one-of-a-kind mobility solutions designed to be comfortable, safe and work completely in sync with each client. Our focus is to deliver independence and self-reliance to clients, regardless of age or physical challenge; to offer reassurance to families and caregivers; and to provide flexible, highly professional clinical support to physicians and therapists. Parachute Health is the largest DME e-prescribing platform on the market today. Suppliers receive documentation that follows payor criteria and can manage their orders through the digital Parachute dashboard. Parachute currently operates in 22 states and has offices in New York, California, Texas, and Colorado. We are a network of full-service medical equipment companies that use tailored products and services to empower patients to live their best lives — out of the hospital and in their homes. With operations in 35 states, we are able to offer a breadth of clinically driven products and services designed to help patients adapt to life in the home including: sleep and respiratory therapy, mobility products, wound care, non-invasive ventilation, and nutrition to patients with ease. We are Rotech Healthcare - a family of hometown healthcare companies and industry leaders in providing high quality medical products, unsurpassed customer service, and assistance in patient home health treatment which is second to none. With hundreds of locations from coast to coast, you will find a local Rotech company near you - staffed with good neighbors, good friends, and a team who genuinely care about patients. Each and every day, thousands of dedicated Rotech employees bring our special brand of care and quality service to neighborhoods and communities across the United States of America. We offer a comprehensive selection of home medical equipment and services to help patients better manage their treatment and care at home. Shield HealthCare is a service organization dedicated to fulfilling the medical supply needs of consumers and the caregiving community with a focus on customer satisfaction. Smith & Nephew supports healthcare professionals in more than 100 countries in their daily efforts to improve the lives of their patients. We do this by taking a pioneering approach to the design of our advanced medical products and services, by securing wider access to our diverse technologies for more customers globally, and by enabling better outcomes for patients and healthcare systems. If you'd like to learn more about the benefits of the corporate partnership programs at AAHomecare, please contact us by filling out the form below.